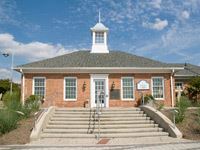 Visitor center focuses on the role of Prince George's County in the War of 1812. Waterfront park, public fishing pier, boat ramp and picnic area. Visitor Center:Thur-Sun; Park, sunrise to sunset.